Going to Sicily on a vacation with your family is bound to be one of the best holidays you will ever have. Combine sunshine, soft sand, warm cerulean seas, delicious cuisine, what more can you ask for? With your family in tow, the fun is just going to be sky-high! To discover the island with your children in the most comfortable way, it is recommended to rent a car in Sicily through platforms like Wishsicily.com where you can compare the best rates in the market . So if you’re in for a treat, here are some places to bring your family for that perfect holiday. There are so many adventure parks in the island and everywhere you go, you will surely find an ideal one for your family’s needs. 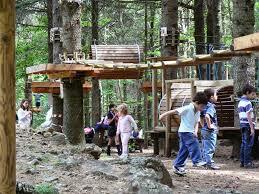 Adventure Park Eco Campus Casaboli, located a few kilometers north of Palermo, offers various adventure paths for kids of all ages adapted to varying skill levels as well. You can have a picnic while the kids enjoy some or all of the activities such as rope ladder climbing, tree climbing, archery and mountain biking. 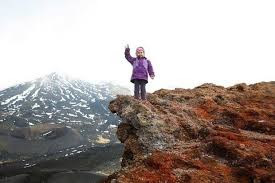 As a plus, the entire family can also go walking on mountain paths for a breath of fresh air beautiful scenery. Sicily is internationally known as a summer destination for its lovely beaches and fine weather. Literally, the whole island is surrounded with resorts and untouched seaside havens. Lo Zingaro Nature Reserve is a stunning place made up of a myriad of coves, grottoes and sea stacks carved out of the hard limestone cliffs. The coastline makes up one of the most amazing natural parks to be found in western Sicily. Cefalù, one of the most visited towns in Sicily due to its beauty, offer a long stretch of fine sand, perfect for beach-going families. The town in itself is an ideal destination and if you’re okay with some walking and getting sweaty, a hike up to La Rocca will give you some of the best views of the bay and the old town. For those who prefer some quiet on the beach away from crowds, head on to the Scala dei Turchi off Sicily’s southern coast. After a visit in the archaeological park of the Valley of the Temples in Agrigento, you can go for a dip or sunbathe on the brilliant white, weather-formed steps. It will give you a refreshing break from the usual sites and you can have a different photo shoot with the natural landscape as a beautiful background! For another kind of excitement, why not climb up the volcano? With professional guides, you can reach the crater areas with some hiking and riding on four-wheel drives. The view from the top is spectacular and the adventure will surely be something different and will be remembered for a lifetime.